Sold for scrap 23 July 1947. 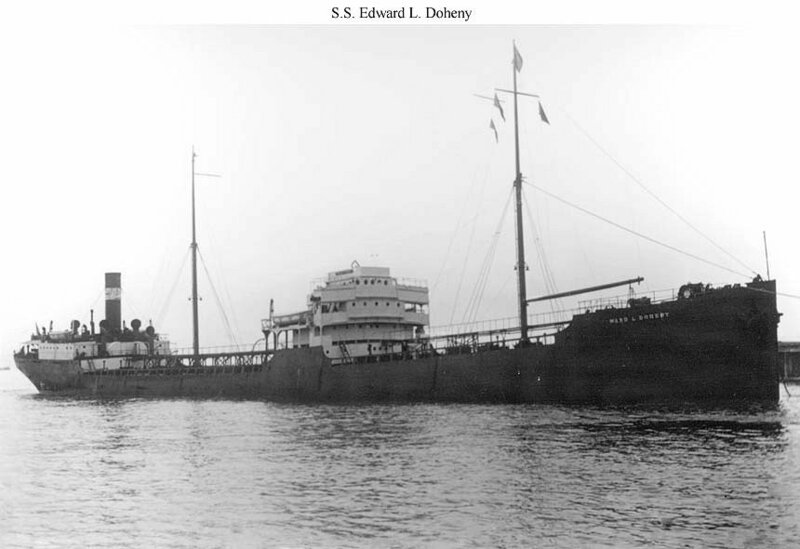 Unofficial History: The old tanker Edward L. Doheny was tentatively selected in August 1944 to become a station tanker with the designation IX-184. On 6 September 1944 a Navy board inspected her while she was being repaired at Galveston, Texas, and found her not suited to Naval service, and on 7 September 1944 CNO cancelled her acquisition. (Her poor condition was due in part to her extensive use in the gasoline trade.) On 17 March 1945, while again rejecting Edward L. Doheny as a station tanker, this time for possible acquisition as IX-219 or IX-220, VCNO explained that she could not be used in the forward area without strengthening the hull to allow vessels to come alongside for refueling, the cost of which would have been prohibitive. At about this time the ship was assigned to the Bureau of Yards and Docks as equipment for possible use in breakwater construction. CNO asked CinCPOA on 26 March 1945 if her equipment was still intact, noting that he anticipated a requirement for bunkering facilities at Eniwetok to serve transiting merchant shipping. 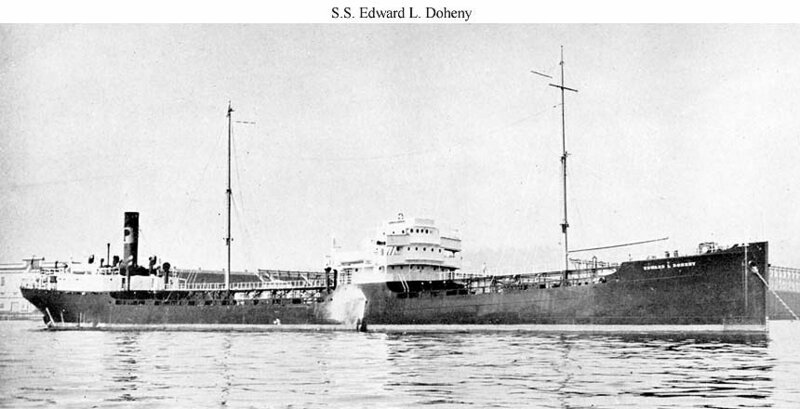 CinCPOA responded the next day that he would be willing to accept the ship despite her faults provided she was delivered to Eniwetok under her own power by her merchant crew in good enough condition to be used there as non-self-propelled dead storage for fuel oil. On 10 April 1945 CNO relayed this acceptance to the Maritime Commission and stated that the Navy would provide an armament of one 3"/50 (two were fitted) and six 20mm guns. The Auxiliary Vessels Board endorsed the acquisition on 25 April 1945. In mid-June 1945 the ship loaded a full cargo of fuel oil at Curacao and then proceeded to Pearl Harbor. ComServPac reported on 28 July 1945 that the ship had arrived with all fresh water tanks except domestic leaking. After repairs the ship continued on to Eniwetok where she was accepted and placed in service on 27 August 1945. On 7 May 1946 OPNAV directed that she be towed to San Francisco for disposal. She joined the reserve fleet at Suisun Bay, California, on 22 November 1946 and was delivered to her buyer on 23 July 1947 for scrapping.